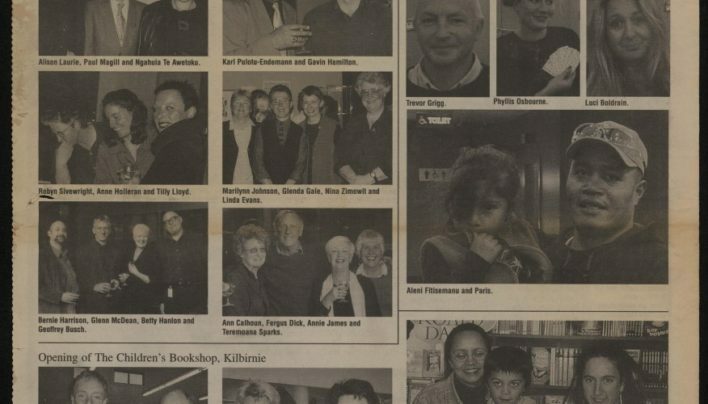 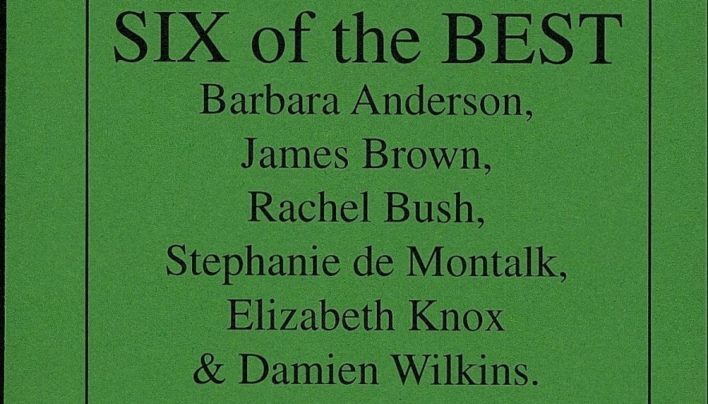 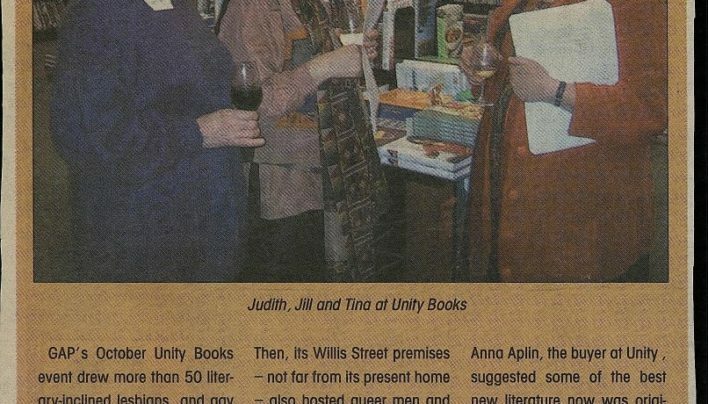 An article about Unity Books and technology. 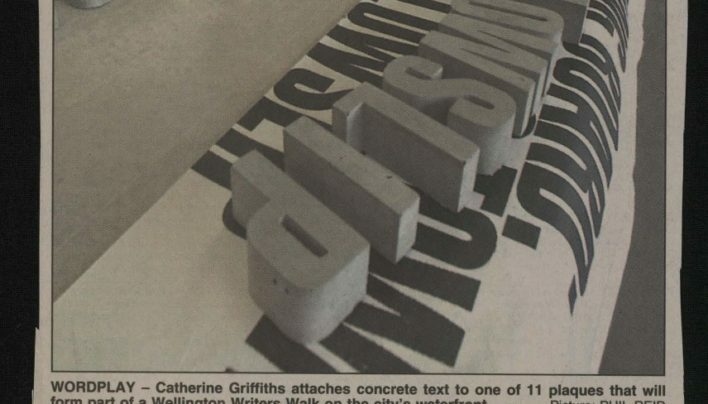 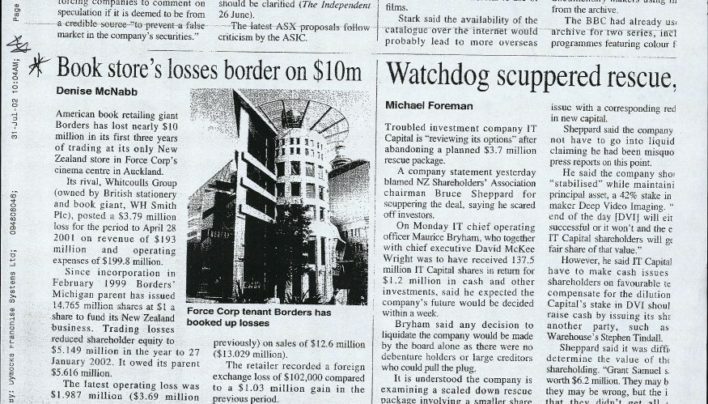 An article about sculptor Catherine Griffiths and her use of various writers’ words about Wellington rendered into 3D text sculptures to adorn several waterfront sites. 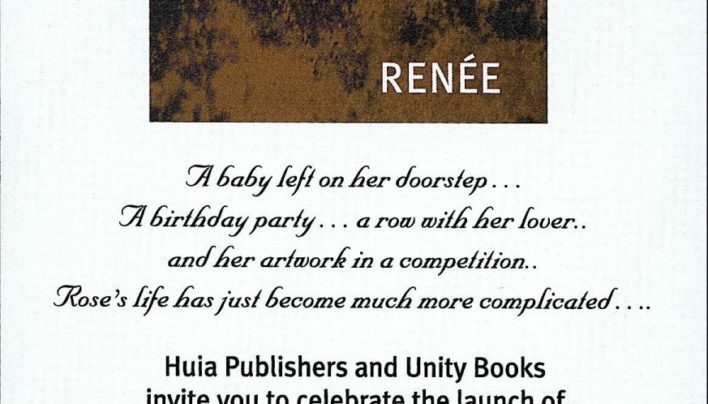 Alan Preston’s letter to suppliers and other contacts, letting them know that Unity Books Auckland has been purchased by Jo & Lawrie McColl. 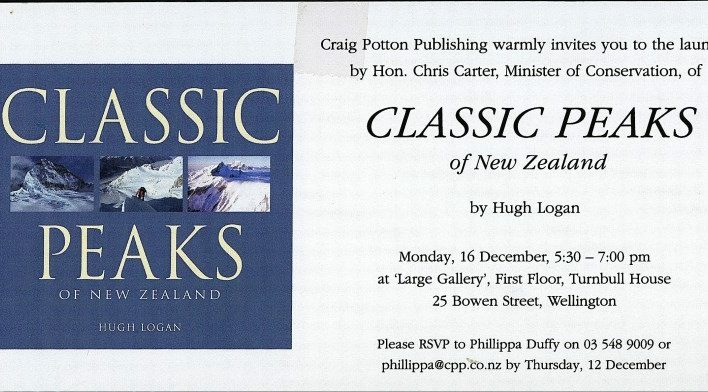 Invitation to the launch of Classic Peaks of New Zealand by Hugh Logan (Craig Potton Publishing). 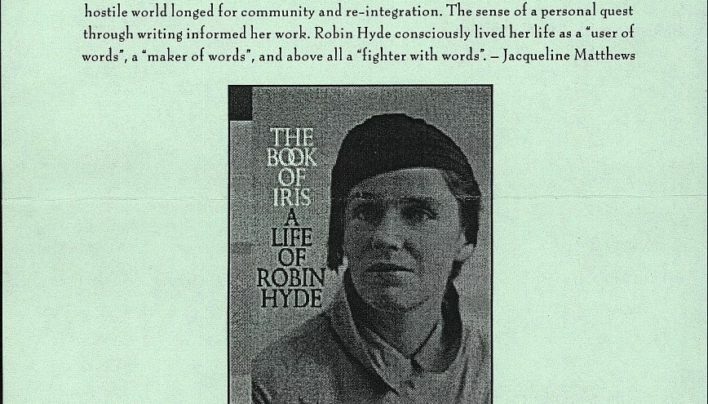 A promotional flyer for The Book of Iris: A Life of Robin Hyde by Derek Challis (Auckland University Press).